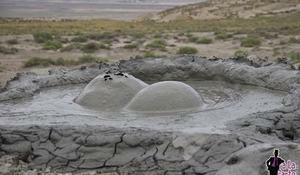 Azerbaijan has more mud volcanoes than any other country, spread broadly across its territory. 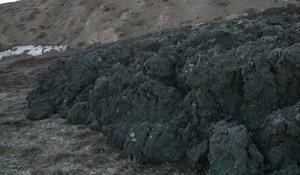 As many as 350 of the 800 volcanoes of the world are located in Azerbaijan. 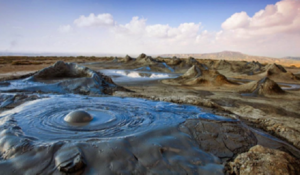 People call them “yanardagh” (burning mountain), “pilpila” (terrace), “gaynacha” (boiling water) and “bozdag” (grey mountain) alongside its geographical name – mud volcanoes. 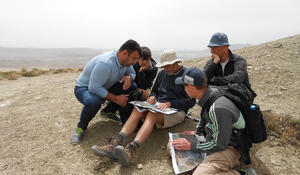 The earthquakes that occurred recently in some areas of the country may affect the activation of some volcanoes in Shamakhi and in the north of Gobustan, Adil Aliyev, the head of the mud volcanism department of the Institute of Geology and Geophysics of the National Academy of Sciences told Trend on Wednesday. 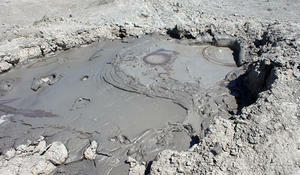 Mud volcanoes are a wonderful all seasons destination for geology passionate and nature enthusiasts. 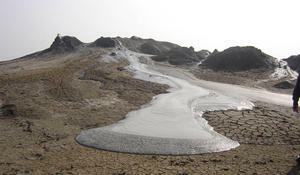 Mud volcanoes are some of the most unique natural phenomenon on Earth. They are active, impressive and definitely worth seeing. Naturally formed gold, silver, iron, copper, titanium and new minerals have been discovered in Azerbaijan’s mud volcanoes for the first time. A number of new minerals gold, iron, copper and titanium have been discovered in Azerbaijan's mud volcanoes for the first time. 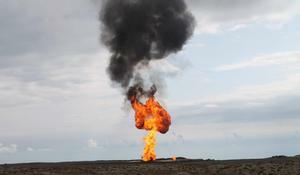 Keyraki mud volcano has erupted in Baku this morning. The Ecology and Natural Resources Ministry reported that the eruption lasted for 15 minutes and the mud waste covered an area of 3.5ha. The residents of Baku’s Garadagh district witnessed a unique natural phenomenon. 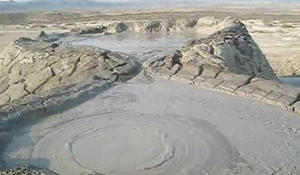 A mud volcano that erupted in the suburb of Baku on February 6 was the Otmanbozdag volcano, one of the world's largest mud volcanoes.